Blog Are Dental Implants a Good Option For You? A dental implant is an artificial root made of titanium metal which is inserted into the jawbone to replace the root of the natural tooth. 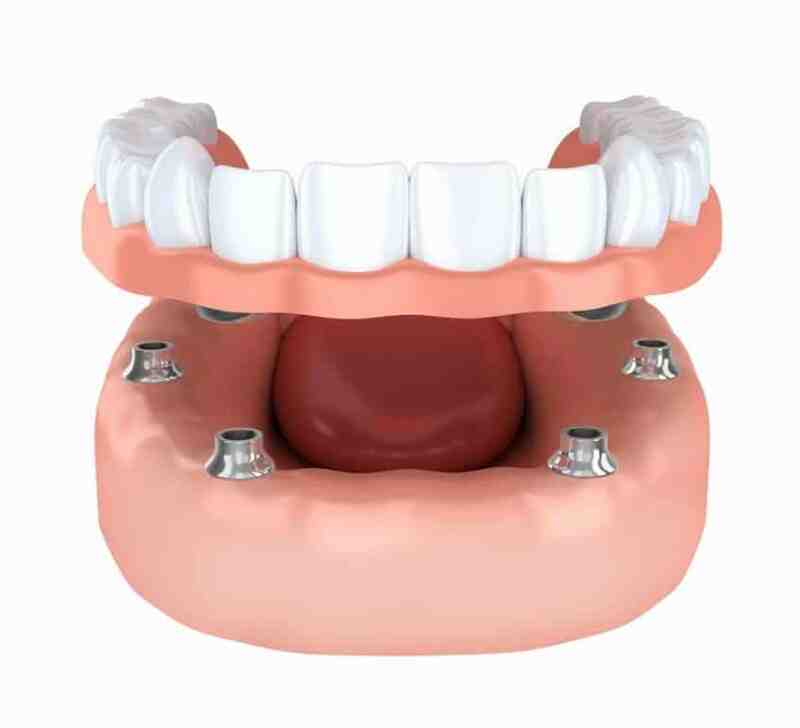 An artificial crown is then attached to and is held by the implant, providing a fully functional replacement tooth. Does not affect your healthy teeth. The aforementioned option known as bridgework requires grinding away the teeth of both or one sides of the missing tooth to accommodate the bridge that holds the artificial tooth in place. This can put those teeth at risk for complications, decay and infection later on. Since dental implants go into the jawbone, no modification of the surrounding teeth is required. Promotes jawbone health. Dental implants are the only dental restoration option which naturally stimulates and preserves the shape of the jawbone, reversing any deterioration effects that were caused by previously missing teeth. This helps in retaining your natural face shape and smile by preventing sagging which occurs when a jawbone deteriorates. The next best thing to healthy, natural teeth. Dental implants are a permanent, long-term solution for tooth replacement. Unlike natural teeth, they don’t decay and are less likely to lead to gum disease than bridgework. Dental implants also allow you to keep your teeth in your mouth, unlike dentures which have to be removed regularly for cleaning, and are always at risk to slip or fall out. Cost. While the initial investment cost is typically higher than other options such as bridgework or dentures, the benefits of dental implants offer far greater value for money over the long term. Dental implants are a permanent, long-term solution to tooth loss with lower risks of complication both during the procedure and after. Invasiveness. Dental implants require the drilling of the jaw bone for accommodation. While this kind of minor surgical procedure may seem relatively more invasive, it is still extremely safe. reliable and highly successful. Recovery time. There is a short period of time required for the implant and jawbone to fuse after the operation is complete before the artificial crown can be placed to complete the procedure. Your surgeon will provide appropriate medication and guidance to ensure that the recovery time is both quick and painless.